A rendering of the building shows what developers envision for the space. Ron Schwabe, owner of Peach Properties, and local developer Marcel Dabdoub are partners on the project. A $10 million project approved by the Rio Nuevo board will add three floors to the former Wig-O-Rama at 98 E. Congress St.
Plans for the former Wig-O-Rama building in downtown Tucson call for the structure to rise up, literally. 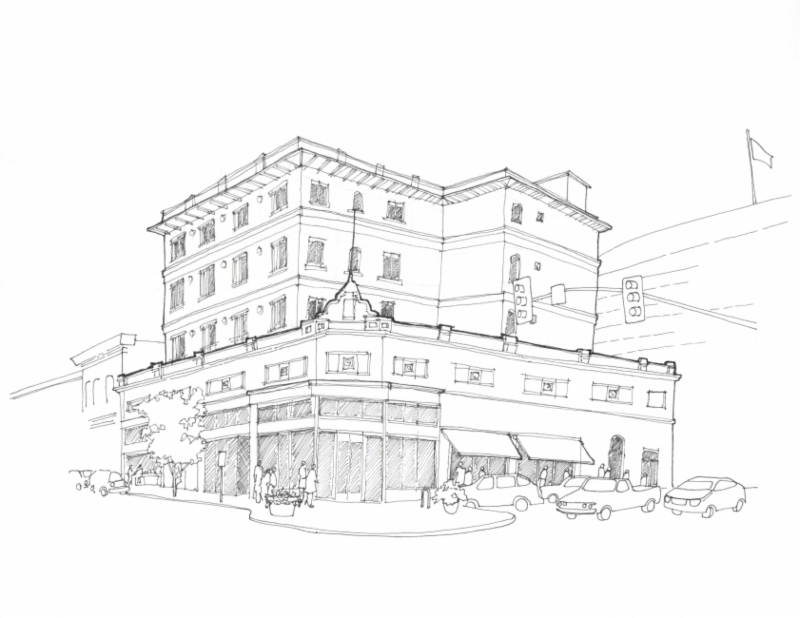 A $10 million project, approved by the Rio Nuevo board, would add three floors to the building at 98 E. Congress Street. The existing 10,000-square-foot ground floor would be used for retail while the three new floors topping it would house 30 units that could be used as extended-stay or short-term rentals, Rio Nuevo said. The three new floors, at 8,000-square-feet per floor, would feature 10 units each. CID Holdings’ Marcel Dabdoub partnered with Ron Schwabe of Peach Properties to buy the Wig-O-Rama building and the adjacent business spaces in 2017, according to Rio Nuevo. Once an economic study is approved, the board could grant the developers a Government Property Lease Excise Tax and a rebate of incremental site-specific sales taxes, not to exceed $2.175 million. The Rio Nuevo district would take ownership of the property and lease it back to the developers for the next 25 years. Stackhouse will have about 44 units on Stone Avenue, just south of Speedway.